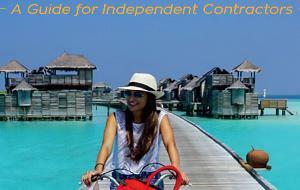 As an independent travel pro, you create your own vision, set your own goals, and make your own decisions. The Virtuoso network offers unmatched advantages to those who have leisure clients, and want to optimize their travel business. If you are someone who loves the challenge of designing unique travel experiences, you’re the type of person we would love to have on our team. Sanborn’s Travel is a proud Virtuoso®, the industry’s leading luxury travel network, member.